Once the industrial powerhouse of the Austro-Hungarian empire, Ostrava between the wars was the coal and steel producing centre of democratic Czechoslovakia and sustained a vibrant artistic scene. After the Second World War, its dynamism diminished and only now, thirty years after the end of Communism, is it finding its feet again. Its era of prosperity coincided with a flowering of tolerance and integration, during which Jews were among the immigrants who were drawn to Ostrava and became leaders of its economic development. Some of the characters in the story are scions of the Rothschild family. Others are grafters who scratch together a living and end up growing successful businesses. 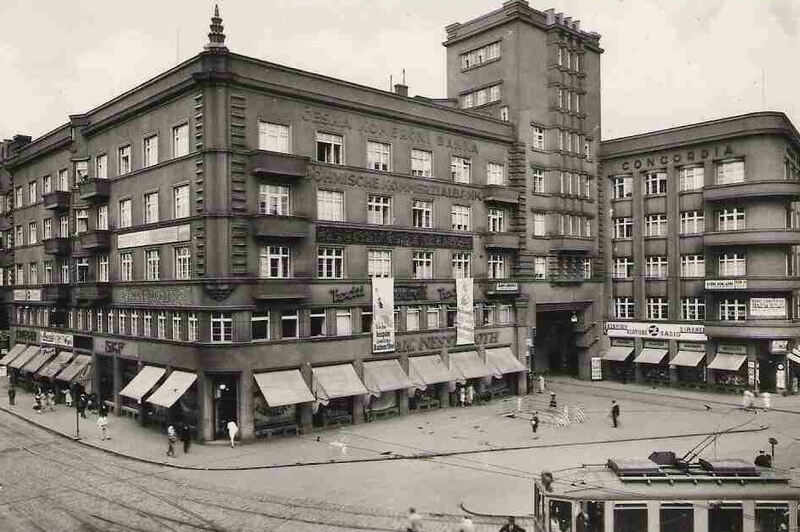 The Jewish community of pre-war Ostrava comes across as both deeply integrated into broader society and diverse in itself – socially and culturally Jewish more than it was religiously so. Secular atheistic Jews rub shoulders with the observant; religious practice ranges from the orthodox to reform Jews; and the orthodox employ a Christian organist and a non-Jewish opera singer. Marrying out is not unusual. The community enjoy all the normal things people enjoy: theatre, music, socialising in coffee shops and bars, promenading on the main drag. The industrialised killing that awaited about 90 per cent of the Jewish community appears here largely in the interstices of the main account: relatives and friends of the protagonists who weren’t so fortunate and ended up, as the authors repeatedly and correctly put it, murdered. I appreciate this plain speaking. So often we read of the victims of the Holocaust as having been gassed, or killed or simply perishing. The quiet insistence that runs through this book that they were murdered reminds us that this was criminality on a mass scale, not simply an artefact of war. And while the book honours the memory of those who died, the sense of uplift is not inappropriate. It’s important also to honour those who managed not to become victims, who had the foresight and determination to engineer their own fate. And, as in Schindler’s List, the impact of their survival echoes through the subsequent generations. They went on to have families. And, thanks to the endeavours of David Lawson and his associates, they have formed a dispersed network of Ostrava Jews so their community is in a sense reconstituted. 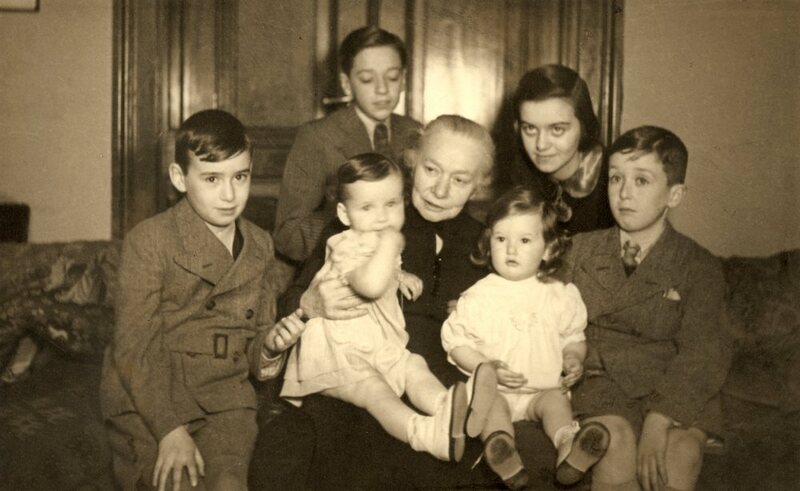 My great-grandmother Emilie, with all her grandchildren. Heinz, my father, is on the right at the end. Pauli, Kurt and Edith (back row left to right) were all murdered by the Nazis. Eva, on her grandmother’s knee, escaped on a kindertransport. Vera, between her and Heinz, survived the war in Vienna in fear of her life. As interesting as the story of Ostrava and its Jews is the story of how it came to be told. After the war, it was discovered that there were accumulated in Prague Torah scrolls from synagogues throughout Czechoslovakia that the Nazis had destroyed. They were brought to London from where the Westminster Synagogue organised their dispersal to diaspora communities around the world. One of these scrolls, from Ostrava, ended up in the synagogue of Kingston upon Thames. There David Lawson and a number of other members of the Kingston synagogue initiated a project to enquire into its provenance. My father was the first of the Ostrava survivors that they found, coincidentally living just a few miles away. Ostrava’s story may seem of marginal interest to most people. But it has universal relevance. The echoes with our own era of the breakdown of liberalism and tolerance are impossible to ignore. We do not take seriously the threat to civilised order until nemesis is upon us. But the warning signs arise before the descent. As I write, British democracy is in chaos – unable to resolve the deadlock over Brexit – and antisemitism has infected the main party of opposition. As the scholar David Hirsh has argued in Contemporary Left Antisemitism, many left-wingers, schooled to equate antisemitism with Nazism, struggle to recognise as antisemitism forms of bigotry that fall short of the final solution. But the Ostrava story shows that the catastrophe of Nazism was not simply the expression but the culmination of nationalistic and antisemitic sentiments which had become normalised by the time of the Nazi invasion. Antisemitism, in this sense, is a lead indicator of the threats to democratic ways of life. For me, the story is a strange one. At some level, I owe my existence to the Holocaust. I grew up British with mixed heritage – with a pan-European sensibility and sensitised to antisemitism and racism from an early age. My upbringing was left-leaning and this seemed like common sense given our inheritance. I instinctively recoil from Brexit because it seems that the flawed co-operation of nations is preferable to competitive isolation. But I’m also averse to arbitrary authority and recognise that an alternative reading of Ostrava’s story could cause me to celebrate Brexit as a reinvigoration of Britain’s democratic impulse. The bigger point here is to lean towards tolerance and the respectful exploration of difference of view. This quality seems in desperately short supply at the present time. When massive political and social forces are at work, our ability to influence them can be minimal. In such circumstances, our agency must be directed to survival. Before things reach that state, we should attune ourselves to the indicators of transgression and not allow the abhorrent to become normalised. 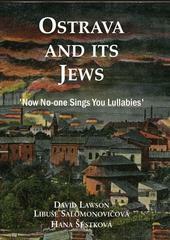 Ostrava and Its Jews by David Lawson, Libuše Salomonovičová and Hana Šústková. Available from Amazon. I will be taking part in a discussion of ‘Ostrava and Its Jews’ with David Lawson on 24th January. David and I will be in conversation and will hopefully be joined by a representative of the Holocaust Education Trust. Please join us at Waterstones, 2-4 The Broadway, Crouch End, London N8 9SN at 7.15pm. More details here.